Just across the bridge and a few minutes north of Astoria on the Washington Shore is another world in another time. Long Beach Peninsula reminds me of Oregon’s Lincoln City area about 40 years ago. It’s as if time stood still. Life is so simple and there is no hustle and bustle. Whenever I want to get away from the City, this is the place I go. 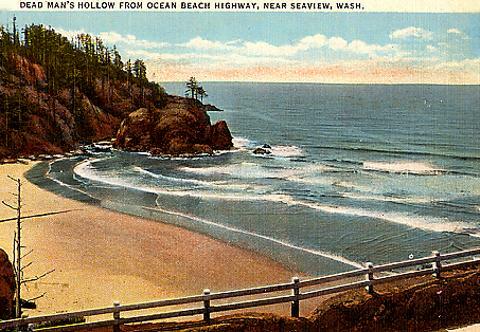 It is really an extension of the Oregon Coast. 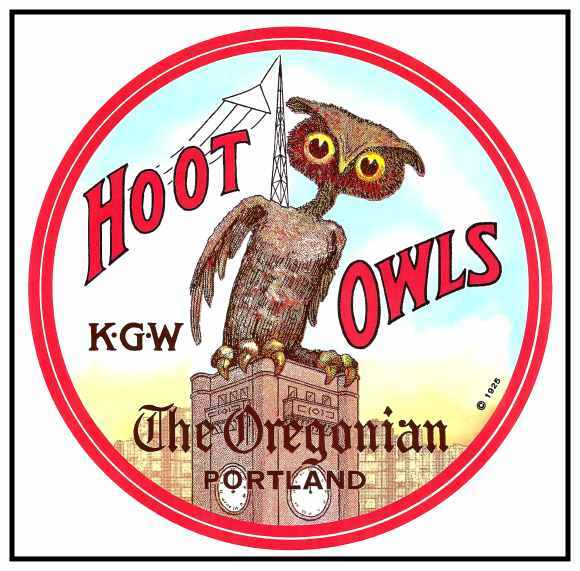 Many of the people who go there come from Portland. It is really the best-kept secret hideaway. 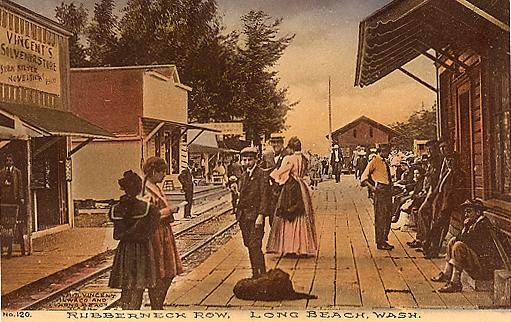 This early day post card of Long Beach shows Rubberneck Row where everyone is waiting for the next train. To the left is Vincent’s Souvenir Store. 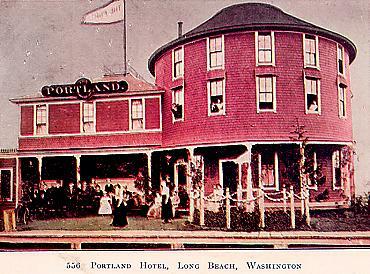 The colorful Portland Hotel in Long Beach. 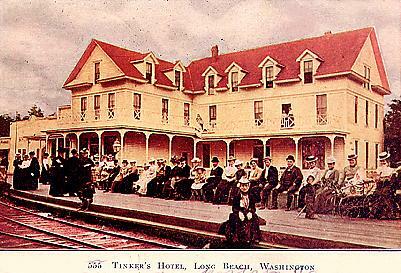 Tinker’s Hotel in Long Beach. 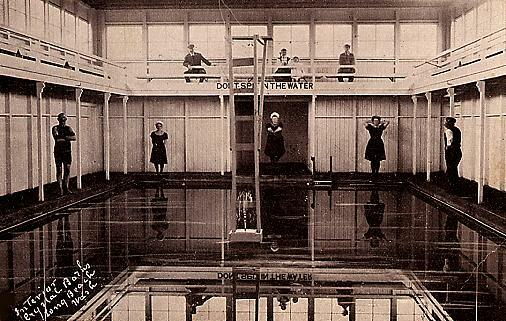 Crystal Baths in Long Beach in 1909. 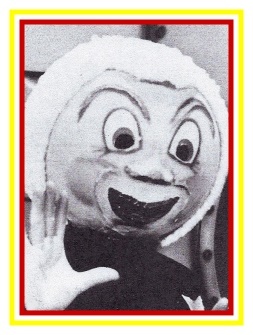 Bathers were admonished not to spit in the water. Beautiful Dead Man’s Hollow near Seaview. 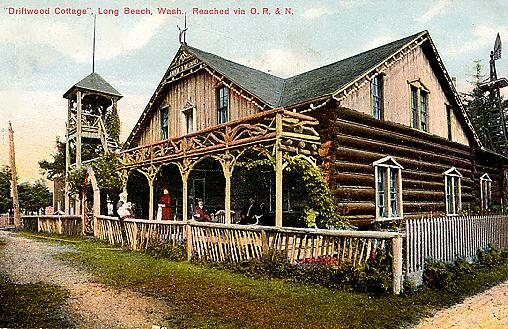 Long Beach is also known for Marsh’s Museum which is worthy of a visit every time you go to Long Beach. 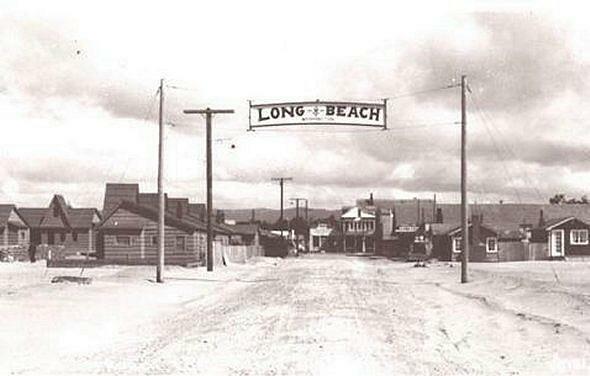 It has been a main attraction in Long Beach since 1921. You can see old amusements or find treasures from the past as well as souvenirs and trinkets. The picture above shows the Museum at its original location. It has since moved across the street to a larger building with more parking. One of the most popular exhibits is Jake the Alligator Man, shown below. 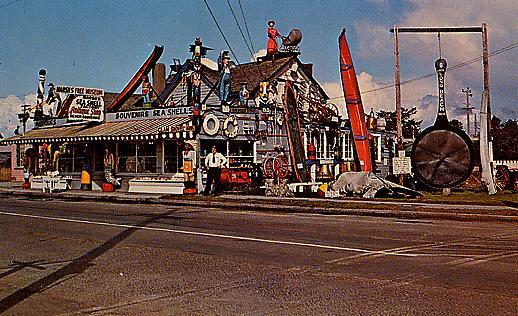 Long Beach also has a small amusement park. There are the kiddie rides and the Carousel. There is a bumper boat ride and go-carts. There is an arcade with a poolroom and museum. I always like to stay at the Ebb Tide on the Prom at Seaside. Then drive up to Astoria for lunch and spend the afternoon at Long Beach Peninsula. On the way to Long Beach, you will go through Chinook and see fishing boats docked at Ilwaco. Then you go through Seaview before reaching Long Beach. Driving north of Long Beach, you will see Klipsan Beach and Ocean Park. You can tour a cranberry bog and museum on the way to Historic Oysterville.